Collins Sarri Statham Investments is delighted to announce that we have received the award for Best Stock Market Newsletter at the City of London Wealth Management Awards. We are very grateful for your support as the winners of this award were voted for by the public. This award is the 4th recognition from COLWMA over the years and we would like say a big THANK YOU to all the readers that voted for us! CSS Investments are extremely proud to win the award for the second year in a row, the third time in the four years we have been publishing the newsletter. 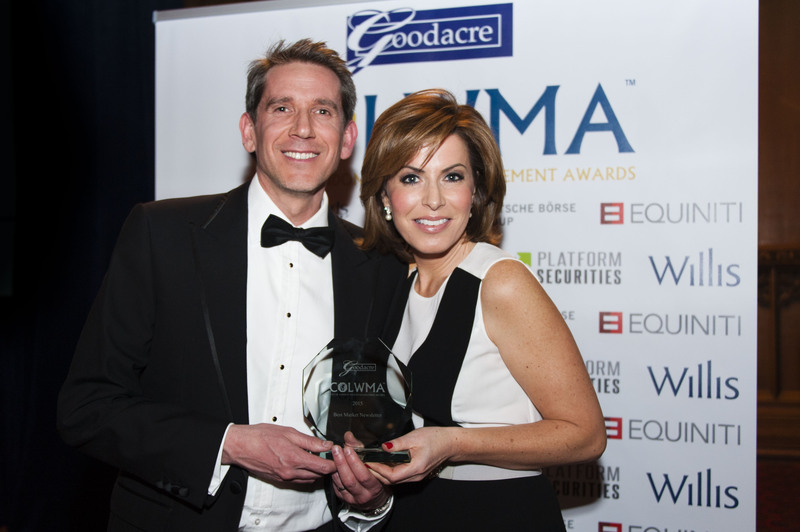 Our co-founder and director, Luca Sarri received the award at The Guild Hall, London from Newsreader and Strictly Come Dancing winner Natasha Kaplinsky, in the company of a host of our industry colleagues and commentators including Robert Peston, Andrew Neil and Justin Urquhart Stewart, who received the Lifetime Achievement Award. 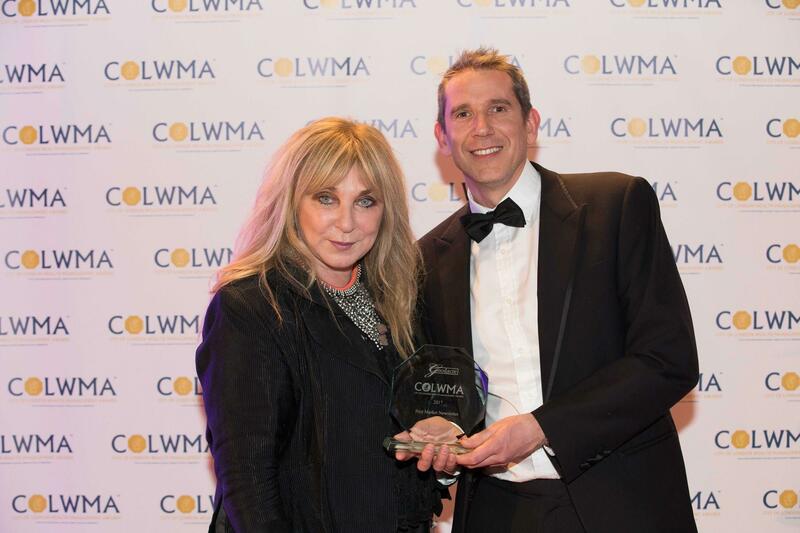 Collins Sarri Statham Investments, the bespoke private client stockbroker is proud to announce it won “The Best Stock Market Newsletter” at The City of London Wealth Management Awards 2014. The awards were announced on the 12th March 2014 and presented by Journalist Anthony Hilton for its “Morning Call” newsletter email as a result of voting by the members of the public. 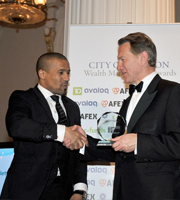 Collins Sarri Statham Investments, the bespoke private client stockbroker is proud to announce it won the award for “The Best CFD Advisory Service” at The City of London Wealth Management Awards 2013. The awards were announced on the 21st March 2013 and presented by The Rt. Hon. Lord Norman Lamont. 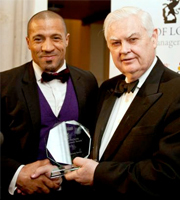 Collins Sarri Statham Investments, the bespoke private client stockbroker is proud to announce it won “The Best Stock Market Newsletter” at The City of London Wealth Management Awards 2012. The awards were announced on the 15th March 2012 and presented by Michael Portillo for its “Morning Call” newsletter email as a result of voting by the members of the public. 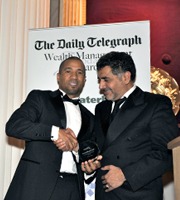 Collins Sarri Statham Investments, the bespoke private client Stock Brokers is delighted to announce that it came runner up in the Best Advisory Service and won the Best New Company Award in The Daily Telegraph Wealth Management Award 2010, the awards were voted for by the public.